Some fans still aren't over the fact that Steve Yzerman stepped down as general manager of the Tampa Bay Lightning after building them into a tire Stanley Cup contender, handing the reins to longtime assistant Julien BriseBois just two days before training camp. It was quite the way to start the 2018-19 season, and it's the only thing that started off with a bang: the chatter on the possibility of Yzerman taking over in Detroit has also been quite loud. Yzerman revealed in his press conference that he was stepping down to return to Detroit in order to spend more time with his family. The rumors were quite loud of a potential return with the Red Wings, but some facts were made quite clear first. When the Hall of Fame centre with the Wings, who won the Cup three times as a player, retired, he went straight into management. He began his front office career as vice-president of hockey operations under GM Ken Holland in Detroit and was part of a Cup winner in 2008 before getting the head job with the Lightning. Holland signed a two-year contract extension at the end of last season to stay on as Red Wings GM. 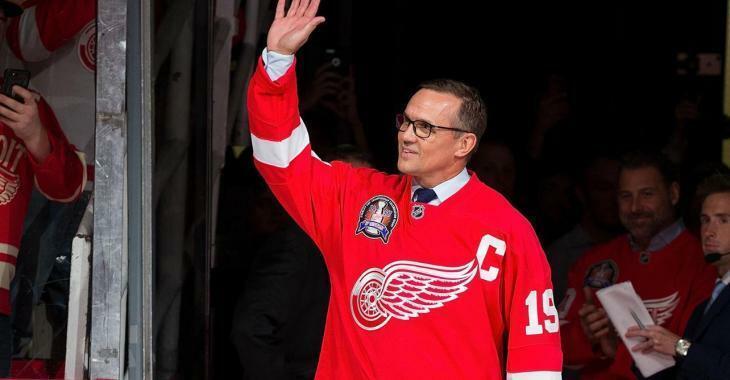 It does not stop three-time Stanley Cup champion and former Red Wings goalie Chris Osgood to believe that Yzerman's return to the Detroit franchise is "inevitable". To him, the return of Yzerman in the Red Wings organization is simply a matter of time and logistics. "I know people are over Ken Holland, but he’s really the guy that built the team back in the early 90’s. He was at every rink possible finding these players that played in the 90's and 2000's. He’s a loyal guy, he’s a Hall of Fame GM, and I think they’ll wait for the right time. Eventually I believe (Yzerman) will be here," he said. As a former teammate of Yzerman, you just know Osgood has probably good instinct about his friend. Wings fans will want to trust his gut feeling.